For several years, Katatonia have been the band I always missed. I never listened to them as much as they’d deserve, because there were always so many other bands to check out, and I have a history of not seeing them at festivals, because somehow they always play while I’m watching someone else on another stage (only seen them live once before, at last year’s Epic Metal Fest in Tilburg). And I had expected it would be the same at Wacken, but things changed …. 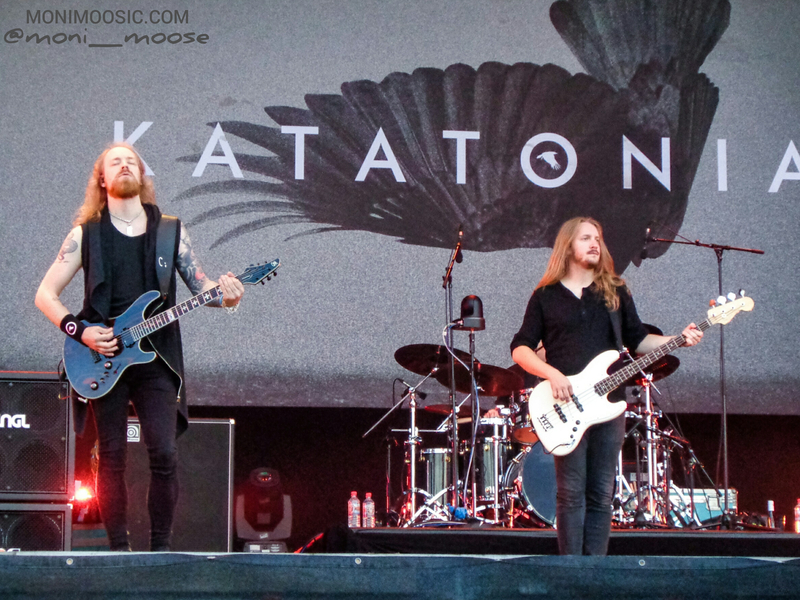 over the last months I have finally listened to Katatonia a lot more than before and have totally fallen in love with their music …. Wacken’s schedule was changed last minute so they clashed with Amon Amarth instead of Avantasia …. I found out I hated Wacken’s main stage…. 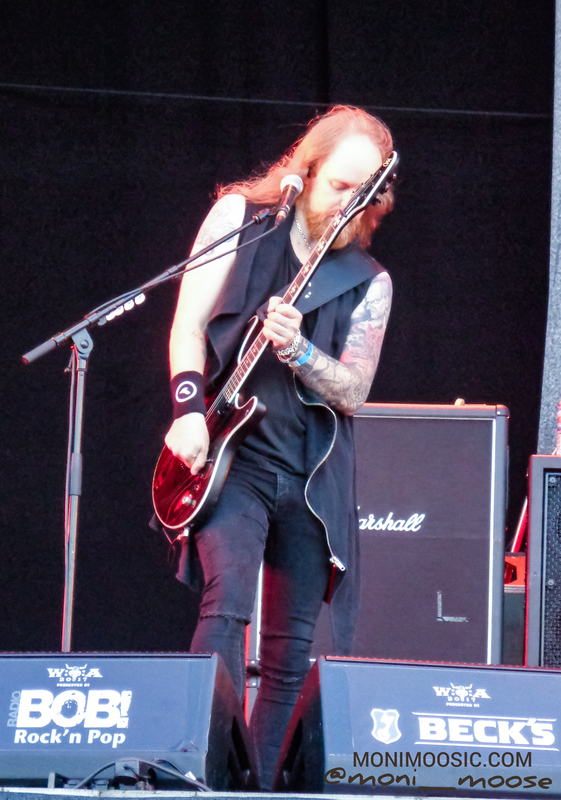 …..and suddenly, on the last day of the festival, I found myself telling my friend she had to go and see Amon Amarth on her own, because I’d rather see Katatonia (although I had really been looking forward to Amon Amarth…). Best decision ever, because Katatonia’s show was absolutely fantastic, totally my highlight of the festival! They sounded great and apparently enjoyed themselves a lot. 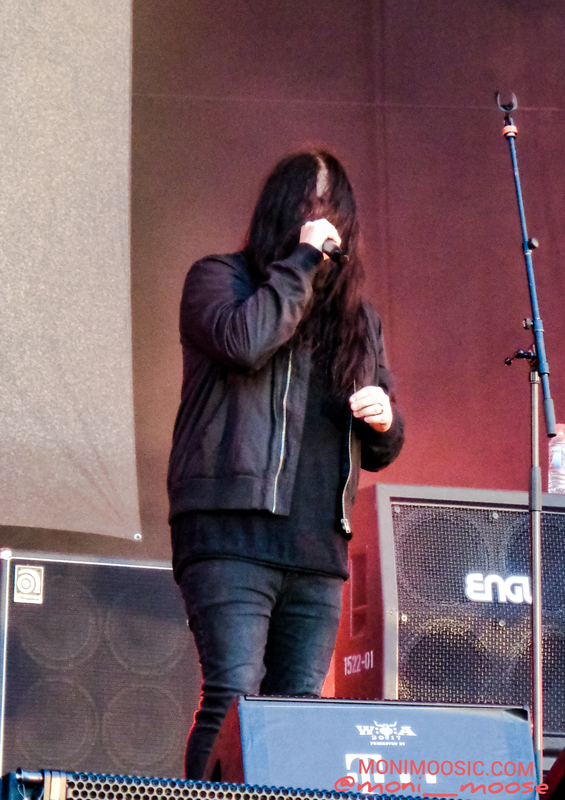 Even Jonas showed us a smiling face sometimes instead of staying hidden behind his curtains of dark hair, and made some jokes about not seeing Amon Amarth (at that point, I was already like Amon who?). The sunset and a lovely crowd singing along to every word helped creating a beautiful atmosphere. 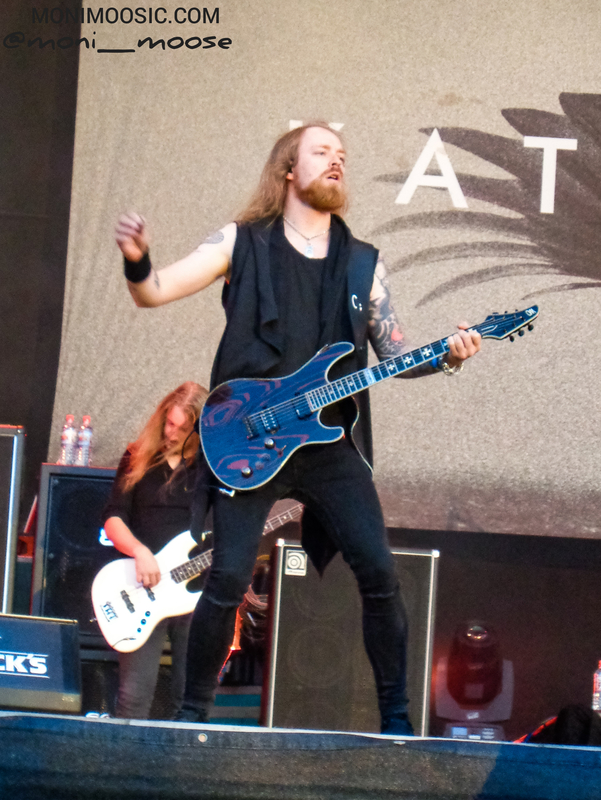 All in all it was so perfect that even during the show I made the decision to see Katatonia again the next day when they headlined RheinRiot, a mini indoor festival in Cologne. 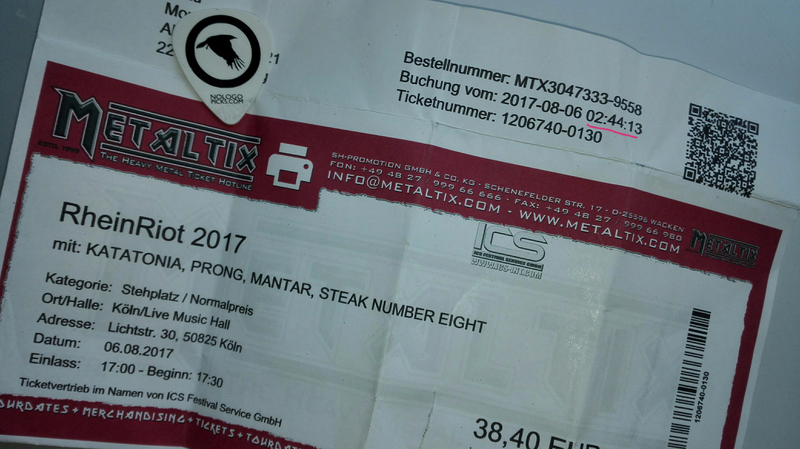 Bought and printed the ticket at 3am when I got home from Wacken, and instead of relaxing and recovering on Sunday…. ….I got up early and spent the day in traffic jams on my way from Hamburg to Cologne. RheinRiot is kind of an “after-festival” for Wacken, having some Wacken bands playing in Cologne’s Live Music Hall the day after the festival every year. I was there last year already when Arch Enemy headlined, and remember the hall being half empty because apparently every single German metalhead is recovering from Wacken on that day. This year, it was even worse. Due to the terrible traffic, I didn’t get there until minutes before doors, but found the hall completely empty when I got in. Central front row spot, you’re mine! 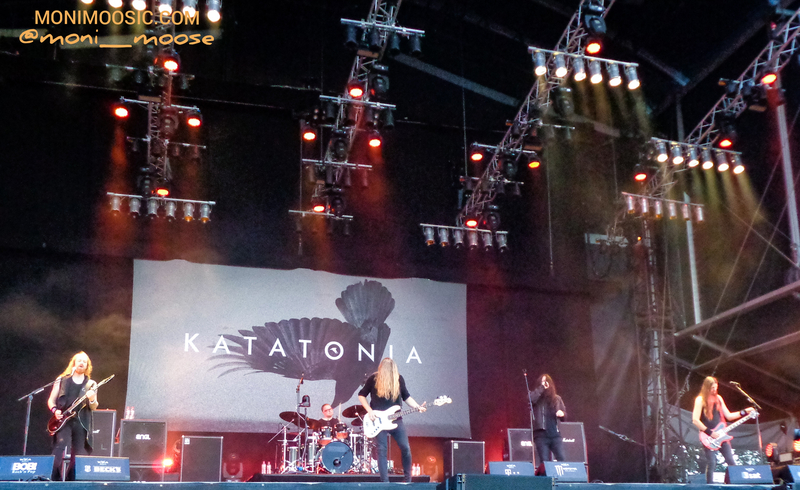 There were only a handful of people for the first bands, and even for Katatonia there was still a lot of space. Katatonia’s performance was less energetic than the day before, maybe the darkness and hot temperatures of the Live Music Hall got to them (seriously, don’t they know how to light a stage in that venue? All bands played almost in darkness… hence the lack of pictures from this show), or maybe they were just tired from celebrating their Wacken triumph. Still, it was totally worth the effort of driving and sleep deprivation, so I’m really happy I did that spontaneous trip . Can’t wait to see them again in November!